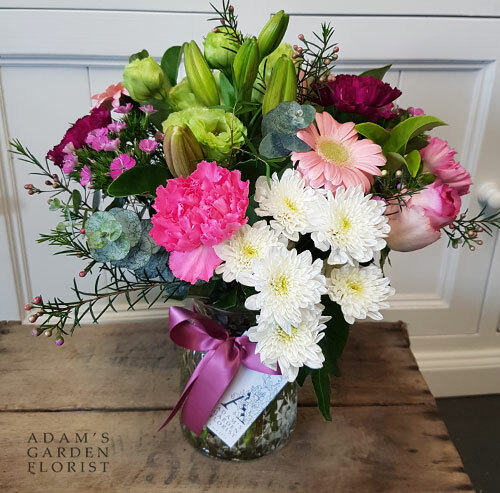 If you’re not sure what flowers to send, but know that the recipient would like something informal and sweet? Let us select them for you. 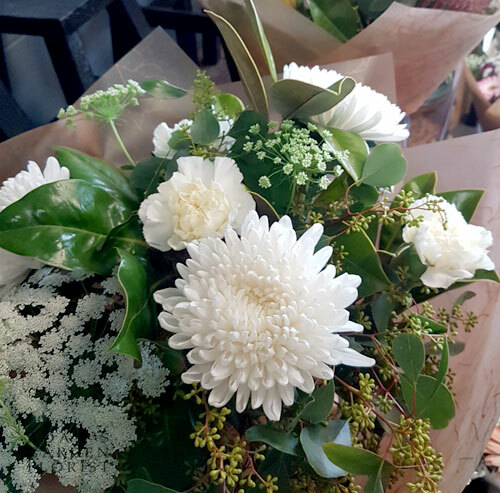 We’ve added a new item to the online shop called ‘cottage bouquet‘. We will choose the most appropriate beautiful blooms for the occasion. Let us know if you’d prefer soft or bright tones and we’ll do our best to make it super lovely. Is there a product you’d like us to stock? Is there a product you’d like us to stock? Let us know! We are always wanting to improve our service with new and exciting, fun things. Would you like to see more cheap market bunches? More designerly vase arrangements? More tropical flowers? So many possibilities! Or, do you, or someone you know, make handmade crafty items like cards or candles, that you would like to see in a retail shop? 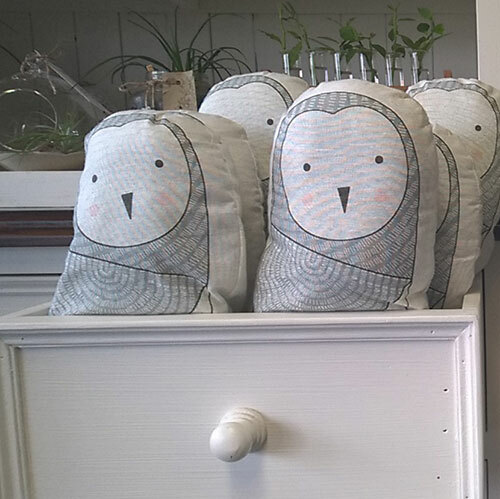 We are always open to looking at new things, and especially locally made or locally designed things. We would love to stock even more Gold Coast made goods. We already have soaps made in Parkwood (Two Winged Fruit), chocolates made in Molendinar (Belgian Delights), and gift cards designed in Queensland (Pink Blossom Tree), but we would love to see even more! If you are keen, send through some details about you and your product, wholesale pricing and the RRP, and we’ll consider whether or not we think it is a good fit with our shop. We’ve had this new little item up for a short while, and glad to see people are liking it. When you’d like some cute flowers presented nicely in a vase, but don’t want to go overboard, this one is for you. 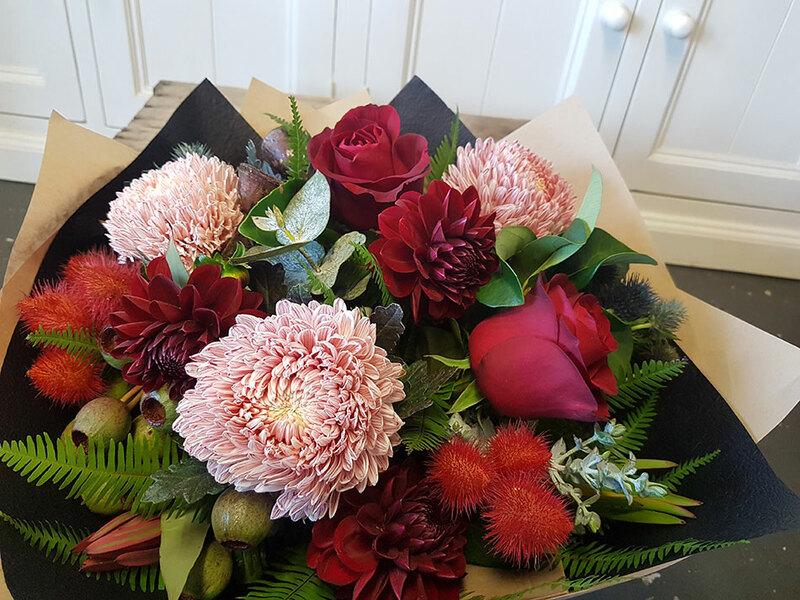 We’ll make up a selection of nice seasonal blooms of the day, and dress them up schmick as. Let us know if you’d like any particular colour theme when ordering. Phone or pop in, or order online here. We’re often asked “What’s the appropriate thing to send for a sympathy?”. 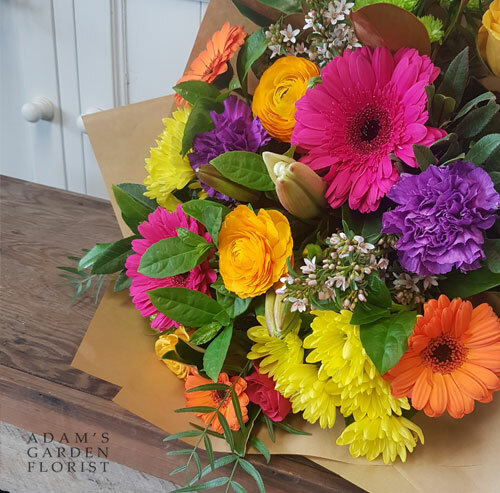 These days, there really is no specific ‘correct thing’ in terms of flowers, unless the family or individual is known to have a specific preference or dislike of certain blooms. If in doubt, white and green is always classic, and doesn’t have to be ‘dull and boring’ as is sometimes assumed. 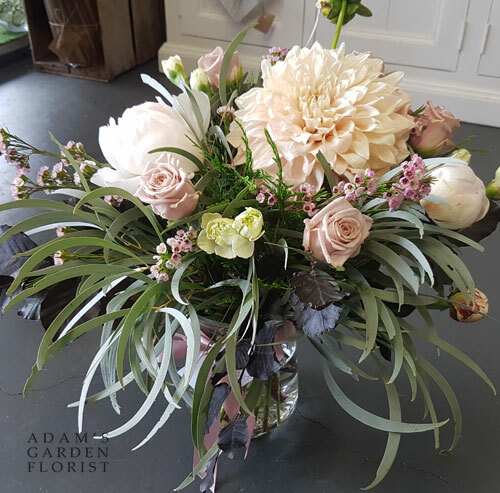 We use a lovely selection of blooms of different sizes and textures. But, something colourful is often a lovely idea too, as you are celebrating the life of a person, which is a beautiful, many faceted thing. 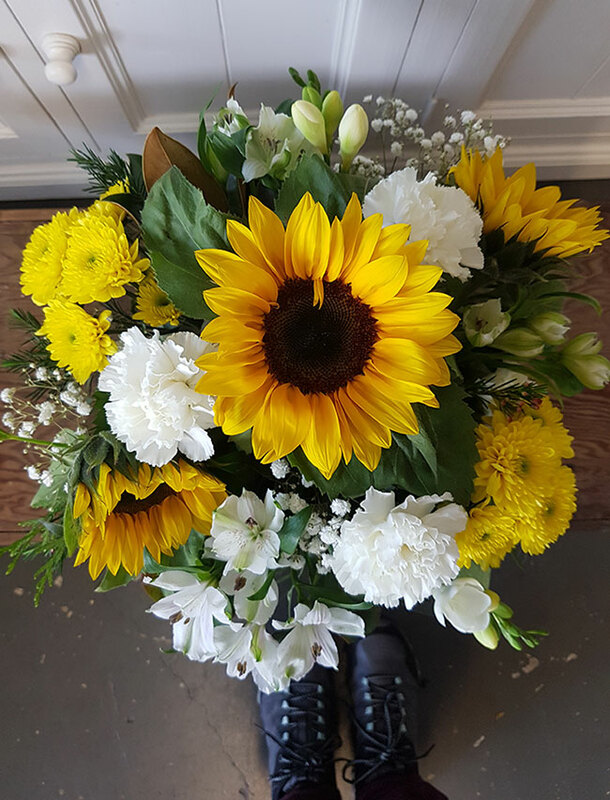 Browse through our sympathy collection for more ideas. Not sure about sending fresh flowers on Valentine’s Day? While we love fresh flowers (come on, we’re florists!) 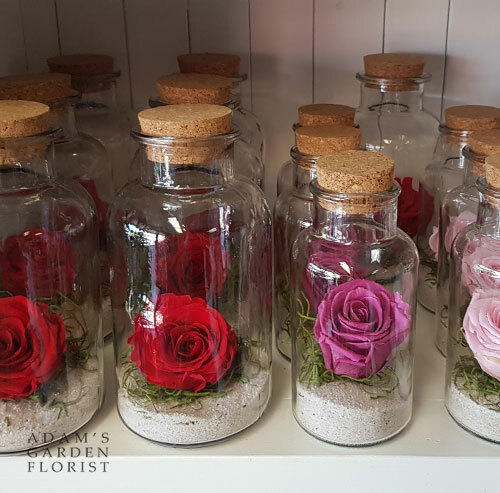 we do have other options too – from plants, teddies and chocolates, to these gorgeous preserved roses in glass. 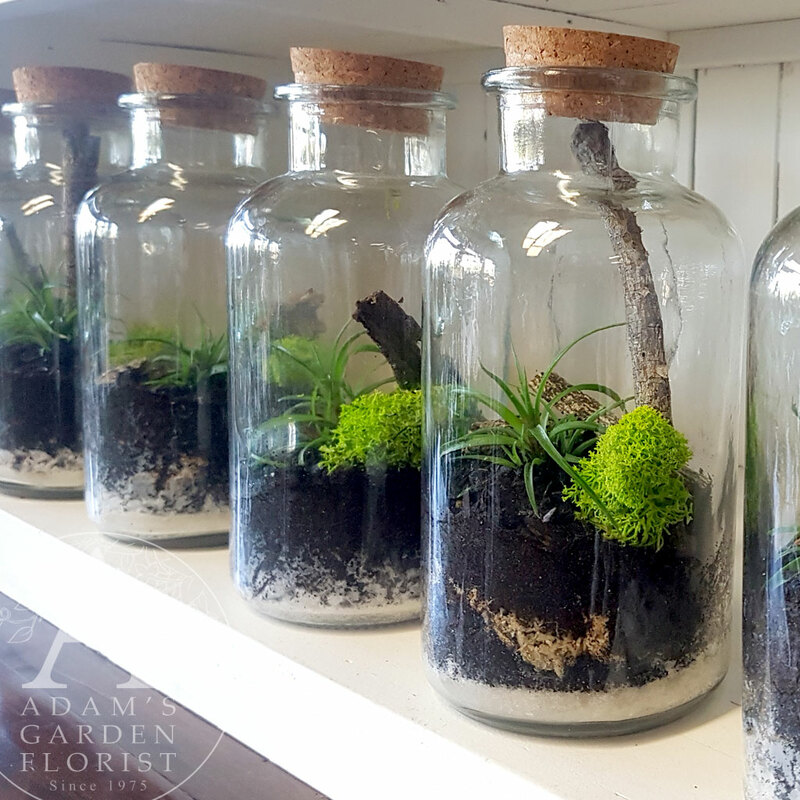 There are a few different sizes available, from tiny vials to glass globes. We also have some different colours from time to time. 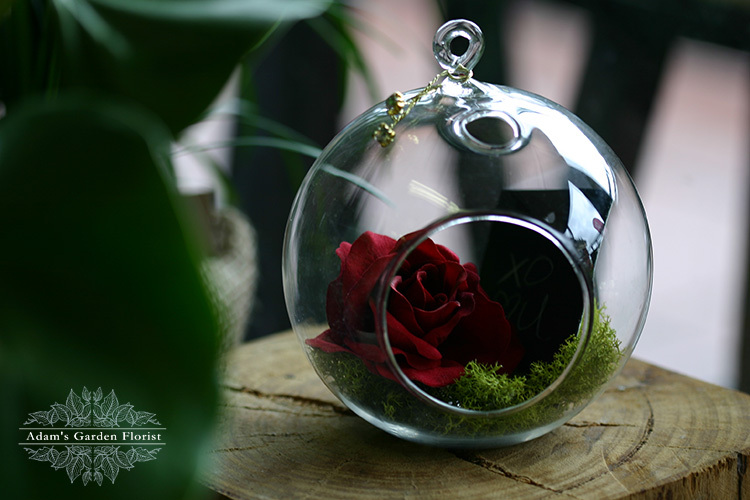 Preserved roses are a lovely keepsake, and with the right care (kept dry and out of direct sun, easy!) they will last for over a year. Check out our preserved items here. These huge cream coloured beauties are called ‘Cafe au Lait’. They aren’t available all the time, but wow when they are – yes please! Need something special? Order something in our online shop, phone us, or pop in today! 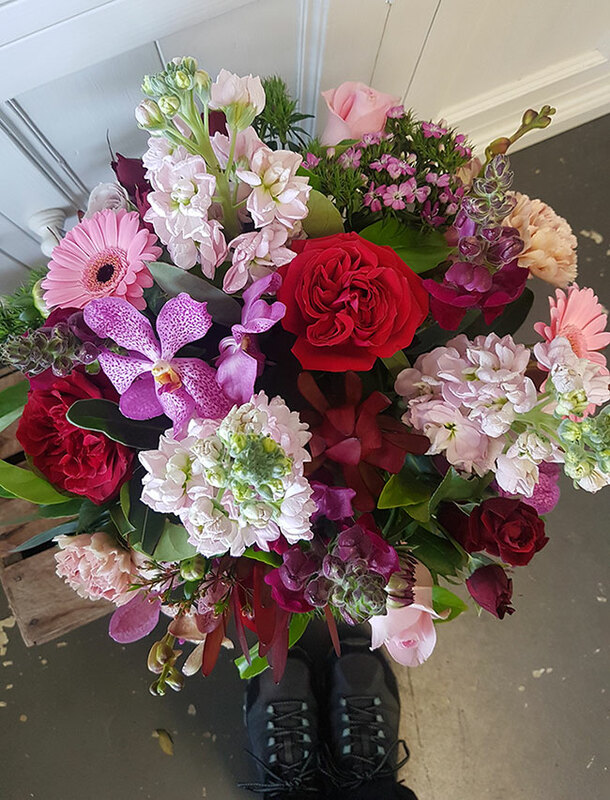 Order your Valentine’s Day Flowers early to avoid disappointment! 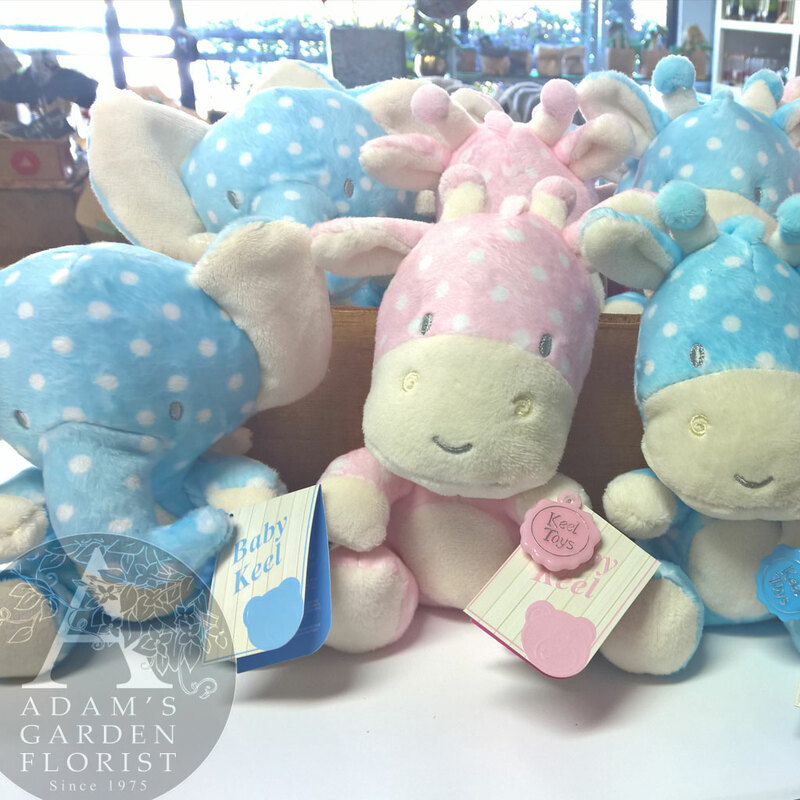 We will have all your usual red roses and other goodies such as teddy bears and chocolates. And yellow is amazing right?! How bright and cheerful are they. We wanted to put this up as the first post of the new year to celebrate the happy brightness and the prospect of everything to be joyful and thankful for in the new year. We love you, take care of yourselves people. We hope your Christmas is restful and fun, and that the year ahead is filled with good times and things that you enjoy. We have enjoyed doing up all your special orders this past year, and only wish we were faster with the social media so that we could share even more beautiful things with you. P.s. be sure to follow our instagram for more pics! Hi folks, we’ve been busy pulling out lots of photos again. 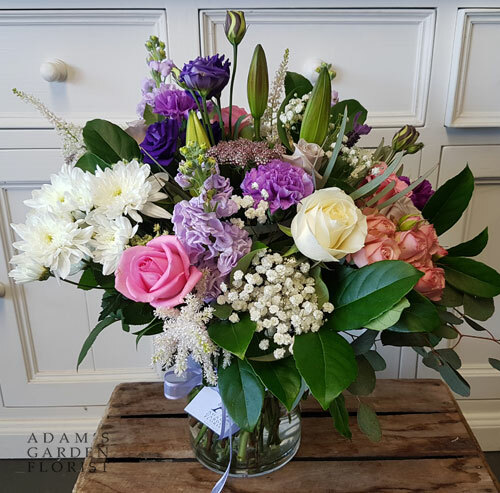 We have recently updated the bouquet in a vase item with more images to make it easy to see a few different styles of things that we do. Check it out here. We hope you enjoy seeing the variety of interesting, seasonally available blooms on show. We certainly enjoyed using them! Adios amigos. See you soon! 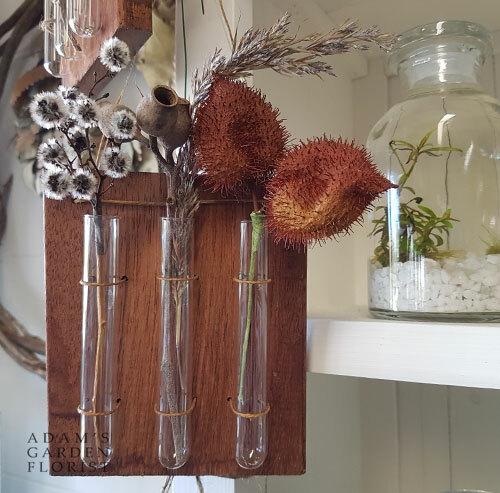 Check it out, we have updated our hessian bag floral arrangement item with more pictures for your viewing and purchasing pleasure. There are so many options. Bright, pretty, cottage feel, pinks, jewel tones. Enjoy! Click here to view the hessian bag product in the shop section. A bold combination of red and yellow flowers. 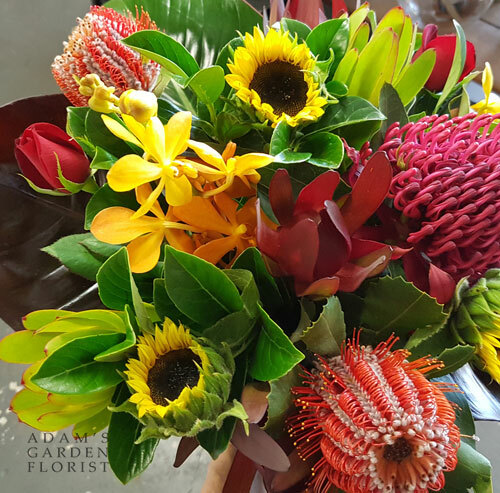 Chunky wildflowers including banksia coccinea and waratah, with luecadendrons, sunflowers, orchids and a couple of roses. 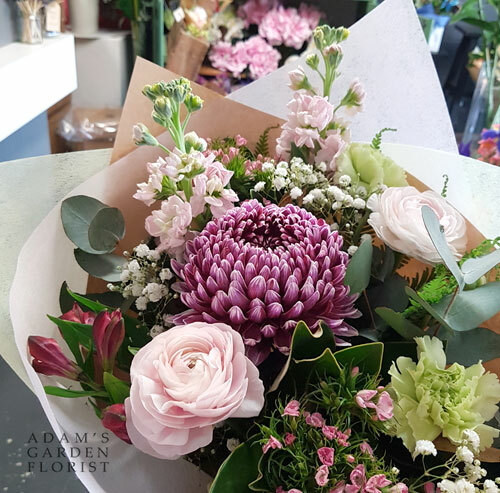 Waratahs are only available for a month or two around October. The coccineas are also only available seasonally. 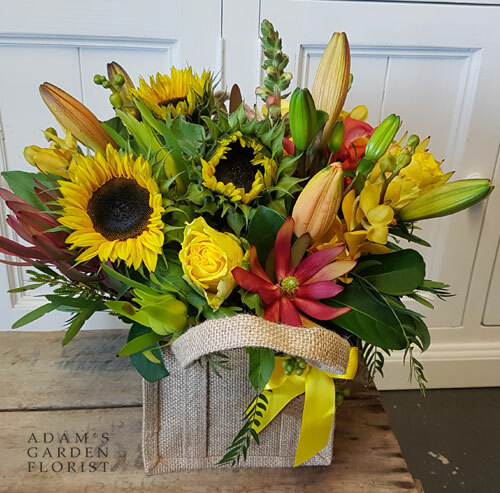 To order a native and tropical bouquet simply phone or order online.